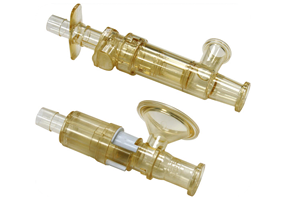 Steam-Thru Sterile Connector from Colder Products, allows a quick and easy sterile connection between biopharmaceutical processing equipment and single-use bag and tube assemblies. The single-use design saves time and money by eliminating unnecessary cleaning procedures and reducing validation burden associated with reusable components. To further discuss the Steam-Thru Sterile Connector, and how we can help you. Please contact us, or request a callback at a convenient time to suit you. Copyright © 2017 BioPharma Dynamics Ltd.
BioPharma Dynamics are a solutions provider for the Life Sciences, Pharmaceutical and Biotech industry, with ISO 9001 & 14001 accreditations. We are partnered with market-leading manufacturers, to offer you the very best solution for your process. We are committed to providing first-rate customer service, support and advice.